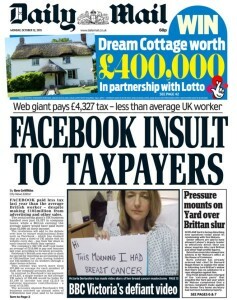 The Daily Mail is furious about Facebook’s flagrant tax evasion. 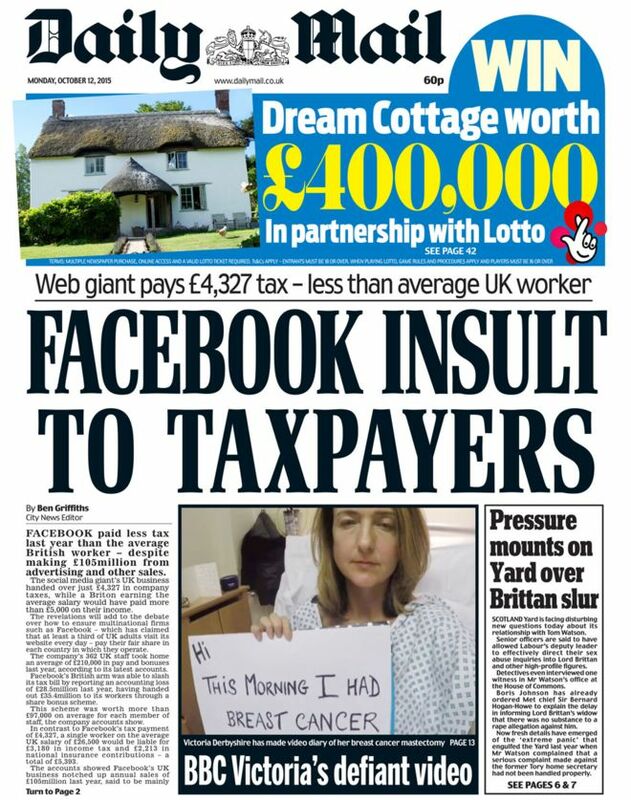 Today’s front page decries the social media giant’s ‘insult to taxpayers’, after reports Facebook paid a mere £4,327 in corporation tax in 2014. 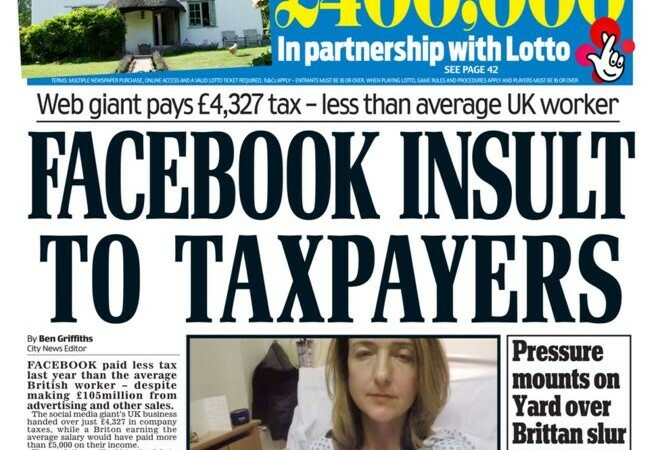 Facebook paid staff huge bonuses of up to £210,000 each, allowing it to claim an accounting loss and pay less tax. But will the story cause embarrassment to Daily Mail proprietor Jonathan Harmsworth, 4th Viscout Rothermere, who has long engaged in his own elaborate tax-dodging? 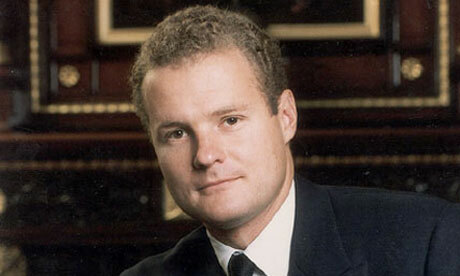 Rothermere inherited his father’s non-domicile status, which Private Eye reports he has used to channel hundreds of millions of pounds in dividends from the Daily Mail and General Trust (DMGT) through a company called Rothermere Continuation Ltd, registered in Bermuda, then back into a trust fund for himself and his family. Will the chancellor include the DMGT in his ‘crackdown on tax-dodging global firms’? Like this article? Support our work: donate here. I agree that the Mail is hypocritical – but aren’t they all? Except possibly the Morning Star although it can be hypocritical in other ways as it doesn’t have much cash. But it occurred to me that if these employees who are paid the bonuses live in the UK (and from the article it seems they do) then the UK gets a bigger tax take from the bonuses than it would get from Corporation Tax on that money. 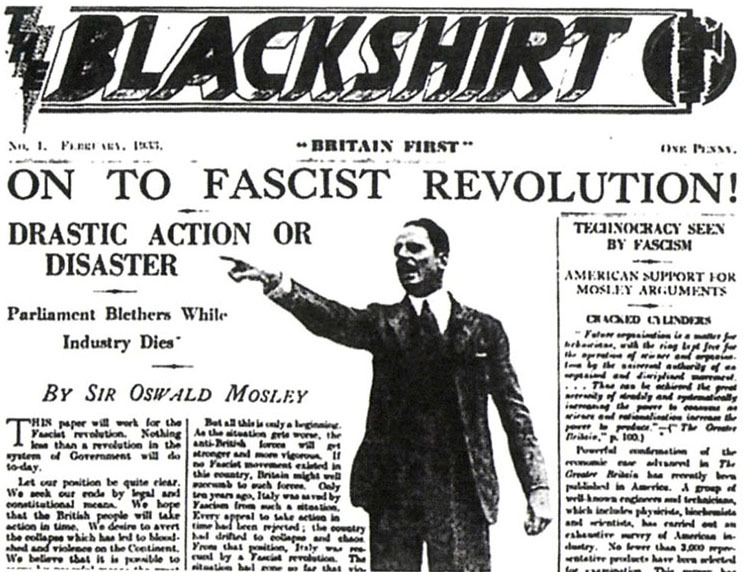 The article scores a direct hit on Rothermere – bravo – but let’s not lose sight of the bigger story about Facebook (and Amazon and othes). Not necessarily true, a good accountant will find away around it such, as deferring the bonus, or it being paid as a “loan”. Also, it is misdirection, while they may pay these people a bonus, the actual money being made in the UK is still being off shored, in essence they are not paying any tax on profits anyway. Talking of hypocrisy did this site get a intern to work for free ? I remember you were asking for some one not long after campaigning against interns working for free..
What relevance does that have? LFF isn’t aLabour blog (if it was it wouldn’t have articles by Greens and LibDems). And the Guardian isn’t always a Labour paper – it backed the LibDems in 2010.